Pisces job is done, happy equinox and welcome Aries energy! Welcome dear ones and happy equinox , a new zodiac cycle starts now! Aries is here and Uranus is helping us to re-design, co-create consciously awake and feel our true and unique self. Starting all over, choosing new thoughts, new ways to live here on Earth, searching for love, balance, placer, repairing, satisfaction and unity. 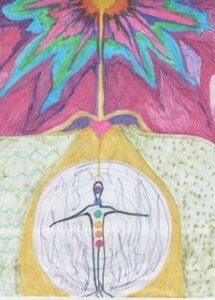 Irradiating, creating from the heart-soul centre. Where do we need to focus with the light of consciousness? Everything that is happening now, is giving us the information we need to continue evolving into the 5th dimension. What is the essence behind all of this? It is to feel good and to be happy. Ask yourself, ask to your Soul, “What do you want?”What is my passion?What did i came to express?